More than 59 percent of the American population are affected by at least one chronic disease, according to the Partnership to Fight Chronic Disease and the National Fact Sheet. One-third of those patients are suffering with two or more chronic diseases. February is American Heart Month, and cardiovascular disease (CVD) is our nation’s long-standing leading cause of death for both men and women. The CDC reports that 610,000 Americans die of CVD each year. The estimated healthcare costs from chronic diseases between years 2016–2030 are approximately $42 trillion. The projected cost from the loss of employee productivity is a staggering annual average of $794 billion. The good news? Extensive research is being conducted in the CVD field. But in the meantime, how can we halt the progression before that research is released to providers and implemented nationally? How can we manage CVD immediately and at the direct patient-provider level? Scanning, diagnosing and treating CVD are all part of the chronic disease puzzle. However, we would be remiss to disregard a crucial piece: patient engagement. PatientBond is a cloud-based platform that takes patient engagement to the next level and extends beyond the walls of the practice by automating communications such as interactive voice response, emails and text messages. Each communication from PatientBond uses a proprietary psychographic segmentation model to ensure patients receive personally relevant information. Messages resonate with each patient’s individual personality, motivations, and core beliefs. This formula leads to behavioral modifications, thus lowering the progress of chronic conditions like CVD. Healthcare professionals have large amounts of patient data at their disposal. The problem is, wading through that pool of data can be time consuming, and patients may not be able to access it to act upon it. PatientBond’s psychographic segmentation model is 91.1 percent accurate at identifying a consumer’s psychographic profile, enhancing the likelihood that it will activate desired patient behaviors. The PatientBond technology identifies which one of five psychographic segments a patient belongs: Self-Achievers, Balance Seekers, Priority Jugglers, Direction Takers and Willful Endurers. These classifications allow PatientBond to determine which method of communication will engage each individual patient most accurately. Click here for a deeper explanation of PatientBond’s psychographic segmentation model. PatientBond communications also include patient response prompts, such as surveys, to gather patient information in a two-way dialogue. Such real-time, patient supplied information is invaluable when monitoring patient progress and barriers to good health. In addition to measuring an individual’s personality, motivations and beliefs, healthcare professionals can use the trove of available patient data to explore how heredity and genetic components may affect their treatment and overall health outcome. For example, a study by the CDC states that for Hispanics, Asian Americans, and Pacific Islanders, heart disease is second only to cancer as a cause of death. Healthy communication between a patient and their healthcare provider is essential to healthy patient outcomes. According to a study published by The National Center for Biotechnology Information, patients who report good communication with their doctor are more likely to be satisfied with their care, and are more willing to share pertinent information for accurate diagnosis of their problems. Patients who feel understood are also more likely to follow their physician’s advice and adhere to the prescribed treatment. Patients’ agreement with the doctor about the nature and of the treatment and need for follow-up is strongly associated with their overall recovery. Psychographic segmentation is key to motivating behavior change. We often hear about the importance of value-based healthcare, but that can only be achieved through a patient’s trust of their healthcare provider and willingness to follow through on his or her recommendations. Studies have shown correlations between a sense of control and the ability to tolerate pain, recovery from illness, decreased tumor growth, and better daily functioning. 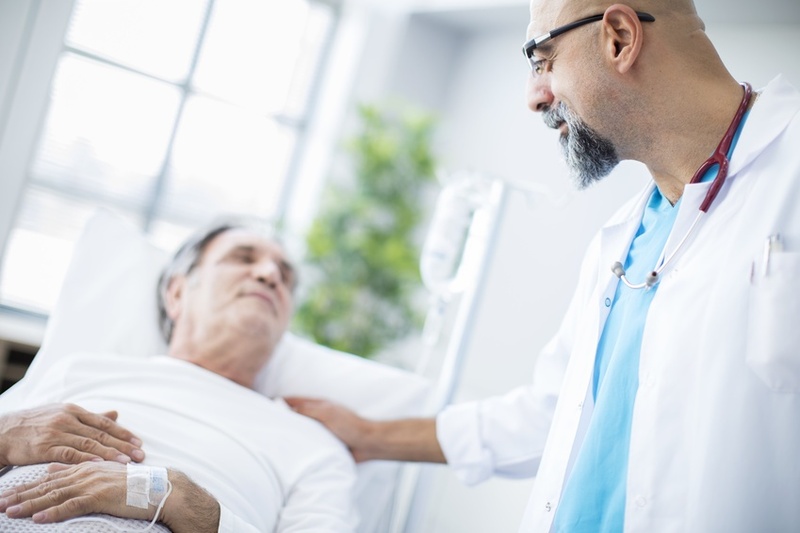 The NCBI study also notes that when patients agree with their doctor about the need for follow-up, they are more likely to recover quicker and have better overall health. Most complaints about doctors relate to communication issues, not clinical competency. The NCBI study shows that doctors with good communication and interpersonal skills are able to detect issues earlier, can prevent medical crises and expensive intervention, and provide better support to their patient. This better communication may lead to higher-quality outcomes and better satisfaction, lower costs of care, greater patient understanding of health issues, and better adherence to the treatment process.